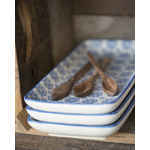 The perfect little tapas plate is the oblong Casablanca Blue plate by Ib Laursen. With it you can serve your guest those delicious Spanish appetizers. Maybe some cake or cookies or different types of cheese can be presented on it also? 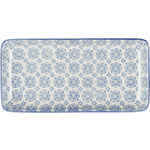 The beautiful rectangular shape and the delightful, oriental-inspired floral design make the Casablanca tray a true eye-catcher on the table! It is suitable for the microwave as well as the dishwasher and can be combined nicely with the other tableware pieces from the Casablanca series. 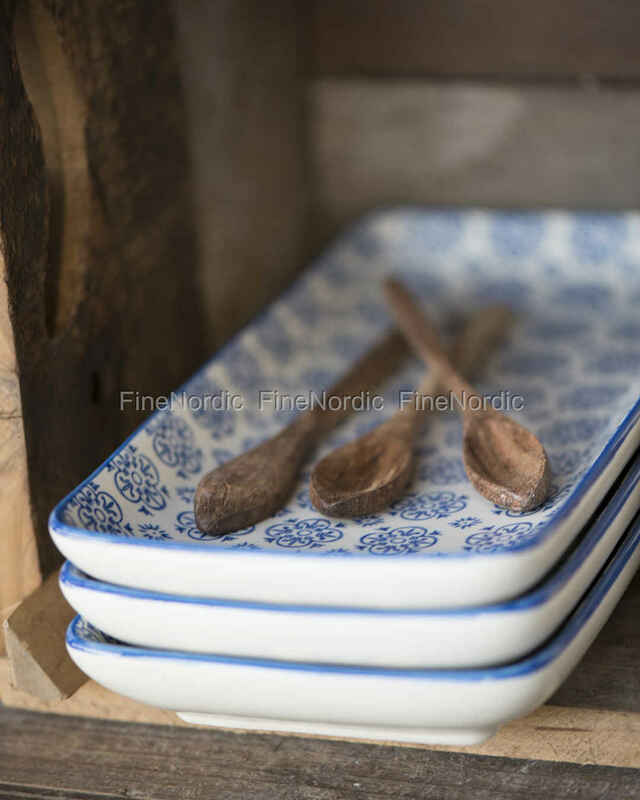 It also looks fantastic on the table, along with the single colored Mynte tableware by Ib Laursen.